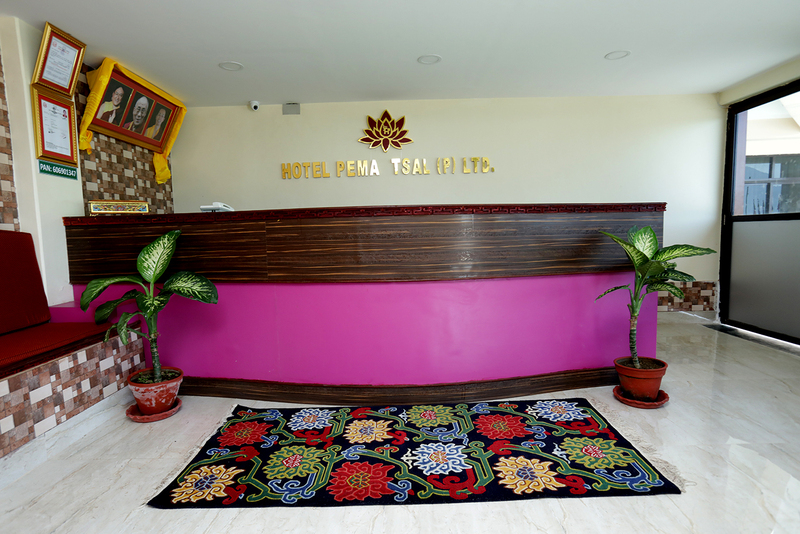 Hotel Pema Tsal, located at the outskirt of Pokhara-Lekhnath Metropolitan City is just a 20 minutes drive either from the Pokhara Airport or Tourist Bus Station. 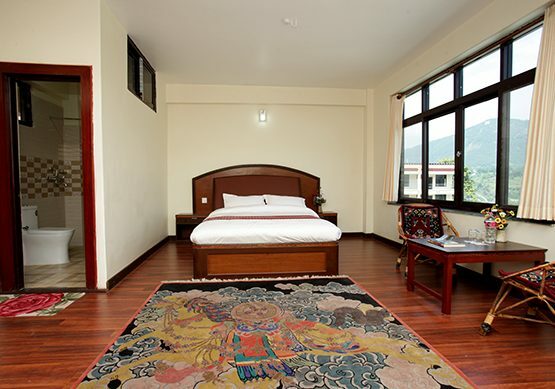 It offers the natural beauty of the Annapurna Himalayan Range, green hills, and Seti River. The hotel is the property of Pema Ts’al Sakya Monastic Institute (a.k.a. Pema Tsal Sakya Monastery). The revenue generated from the hotel will support 120 students from economically deprived backgrounds residing at PTSMI. 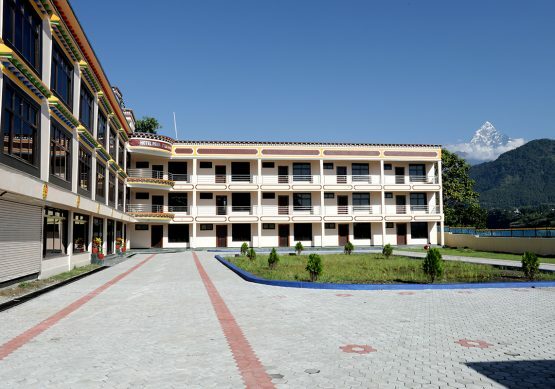 By staying at the hotel, you can take part in various activities of the monastery like being with the monks for prayers and rituals in the morning, interact and play with them in their leisure, observe the classroom teaching and philosophy debate class in the evening and have a Buddhism Class. Literally, Pema means Lotus and Tsal means garden. Lotus is a very sacred flower for Hindus and Buddhists. It is symbolically equal to the Buddha for Buddhists. It symbolizes purity, beauty, majesty, grace, fertility, wealth, richness, knowledge and serenity. The hotel construction was made possible by the very generous and kind financial contribution by Dr. Stephan and Jeanny Goetz, Germany, Dr. Thomas G. Roberts, USA and Gigi Pritzker Family, USA. On the 27th of August 2017, the soft opening of the hotel was done by His Holiness the 42nd Sakya Trizin Ratna Vajra Rinpoche, the supreme head of the Sakya Sect of the Tibetan Buddhism. With 35 beautifully decorated and furnished rooms, we aim to provide you with the best and comfortable stay with us. The rooms are well equipped with modern facilities and our staffs are ready to help you at call. All rooms provide beautiful scenic view. We have 1 Suite, 8 Deluxe, 8 Standard, 9 Double, and 10 Single bedrooms. 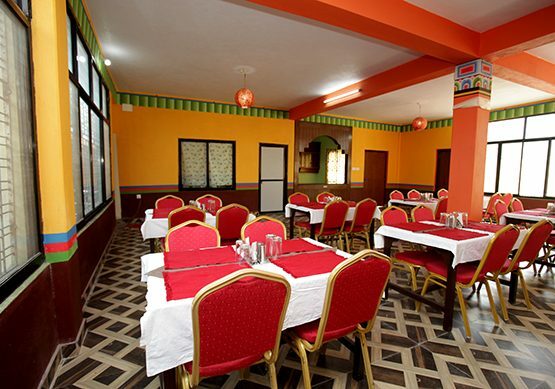 Our simple restaurant provides clean and fresh Nepali and Tibetan cuisines.